We hold a traditional Christian worship service each Sunday at 10:30 a.m. in the church sanctuary. 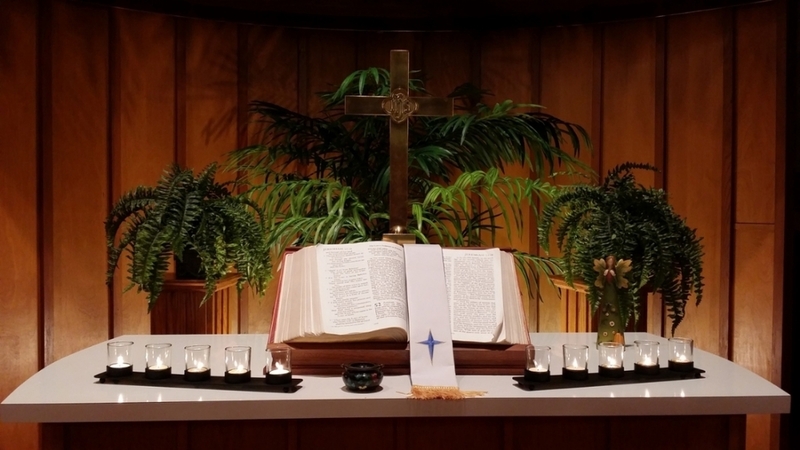 Our service includes hymns, scripture readings, prayer, a children's message, and a message to inspire, empower, instruct, and / or make us think of our relationship to God and to people in the world around us. On the first Sunday of each month we celebrate Communion. Our table is open to all who wish to participate. Nursery service is available during the worship service. Following the service, all are invited to join us in Fellowship Hall to meet our church family, share in fellowship and enjoy some refreshments.